Buy your copy from Amazon. 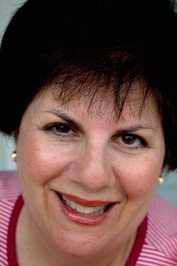 SUSAN SLOATE is the author of 20 previous books, including the recent bestseller Stealing Fire and Realizing You (with Ron Doades), for which she invented a new genre: the self-help novel. 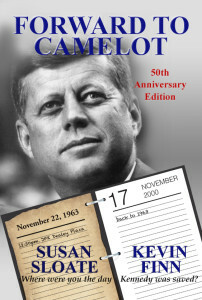 The original 2003 edition of Forward to Camelot became a #6 Amazon bestseller, took honors in three literary competitions and was optioned by a Hollywood company for film production. Susan has also written young-adult fiction and non-fiction, including the children’s biography Ray Charles: Find Another Way!, which won the silver medal in the 2007 Children’s Moonbeam Awards. Mysteries Unwrapped: The Secrets of Alcatraz led to her 2009 appearance on the TV series MysteryQuest on The History Channel. Amelia Earhart: Challenging the Skies is a perennial young-adult Amazon bestseller. She has also been a sportswriter and a screenwriter, managed two recent political campaigns and founded an author’s festival in her hometown outside Charleston, SC. 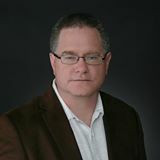 After beginning his career as a television news and sports writer-producer, KEVIN FINN moved on to screenwriting and has authored more than a dozen screenplays. He is a freelance script analyst and has worked for the prestigious American Film Institute Writer’s Workshop Program. He now produces promotional trailers, independent film projects including the 2012 documentary Setting the Stage: Behind the Scenes with the Pirates of Penzance, and local content for Princeton Community Television. His next novel, Banners Over Brooklyn, will be released in 2014.